When it comes to navigating a new web-based service, sometimes the best way to learn is by seeing. 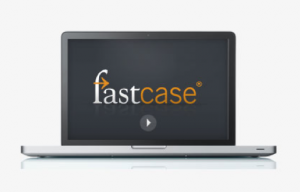 We have a library of 30 second to 5 minute video tutorials that will take you through finding and viewing cases and statutes, printing, and using advanced features like Authority Check and the Interactive Timeline. You can watch these videos, on demand, any time you need them. Find them at www.fastcase.com/support/. Getting more help is easy. For support, call 1-866-773-2782 between the hours of 8 am and 8 pm Eastern, email support@fastcase.com, or use our Live Chat feature.